Mice can be dangerous to your family as they transmit diseases, especially through their urine and feces. They could also cause severe damage to your home and yard by chewing away several fixtures in your home. Furthermore, mice also multiply rapidly. Their population could grow rather quickly if they are not checked. This is why you should endeavor to get rid of mice infestation once you notice it in your yard. Seal cracks and openings around your homes. Keep your basement, attic and other crawl spaces well-ventilated and dry. Dispose of garbage properly and store foods in airtight containers. Mice can easily squeeze through small holes making their way into your home. So, if you often see them roaming in your yard or house, it is time to find out the hole they come from. Patch up any holes and cracks to prevent their entry. Peppermint has a strong odor that deters insects and pests. Mice find the smell really offensive and are repelled by it naturally. Place cotton balls, dipped in peppermint oil, in places where you notice them most. Once the smell fades away, replace the cotton balls with freshly dipped ones. Planting mint in your garden would also keep the pest away. Blocking their way into your house with steel wool is an excellent way to deter mice. Steel wool would patch the holes from where they gain access. Mice can’t chew the steel wool. 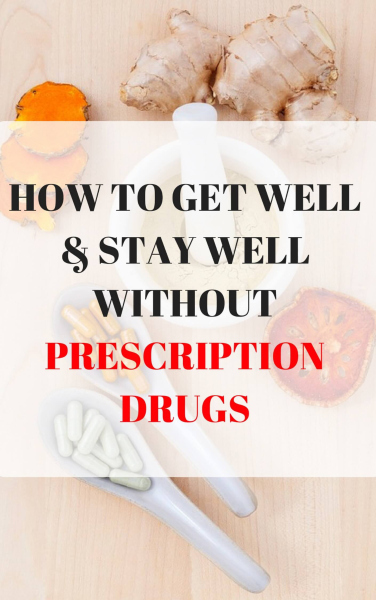 It irritates and damages their teeth and gum making them give up their futile attempt to enter your yard or home. Mice do not like the smell of cloves and get repelled by them. Spread cloves near the places they visit most. You could also use a few drops of clove oil in cotton balls to deter the pesky pest from your house. If cat litter is readily available, it can help in keeping mice away from your home. Just place some of the litter at places from where the mouse enters. Alternatively, if the litter is not available, you can spread ammonia. The pungent smell will make the mice run away without any difficulty. Just fill a few bowls with ammonia and leave them in the place most visited by mice. Laying a humane trap is a sure shot way to get rid of mice that intrude your home. You can easily get such traps in your local market. Place the trap near the entry point or at the places that are frequently visited by the mouse. Put some food such as cheese or bread as a bait. As soon as the mouse enters to eat the food inside, it gets trapped. Mothballs are a great home remedy for mice. The strong smell is not only disliked by insects but by the mice too. Spread them liberally at all the suspected places such as entry holes, garbage bins, corners, near the sink and in your pantry. Make sure the mothballs are not ingested by small kids or other pets at home as it can be toxic to them. If the mice can’t find food in your house, it will not waste time living there. The best way to cut the food supply is to clean up garbage and trash bins where they find the leftover food. Also, keep cooked food under a tight cover so that the mice are not able to access them easily. Do not keep the dirty dishes in the sink overnight. Washing them right away after eating your food will keep mice and roaches away. Most insects and pests, including mice, find bay leaves highly repulsive. They can’t stand their smell and leave the place. Put 3-5 bay leaves where mice are regularly spotted. Sprinkling cayenne pepper around the house when you spot a mouse helps in deterring them naturally. Make sure you cover the places that are most visited by them. You can also make a solution by mixing cayenne pepper with water and fill in a bottle with a spray nozzle. Keep it handy and spray in corners and the entryways of the mice. Owning a pet, like a cat, can help you to get rid of mice from your home and garden. They hunt for mice and catch them in no time. If the mice are destroying your yard, consider placing a nest box to attract barn owls. Barn owls prey on mice and would love your house if you have a lot of mice. Eucalyptus oil is a herbal insecticide and pesticide that works in a natural way to keep your home free from insects and pests. The strong smell is refreshing for us but is not liked by the mice. Place onions at different places in your house that are invaded by the mice. The pungent smell irritates the pesky pests and wards them off your area. However, you have to be careful if you have pets at home. Onions can be toxic to them, so keep it out of reach of your house pets. Make sure to replace the onions with fresh ones every day to prevent rotting. 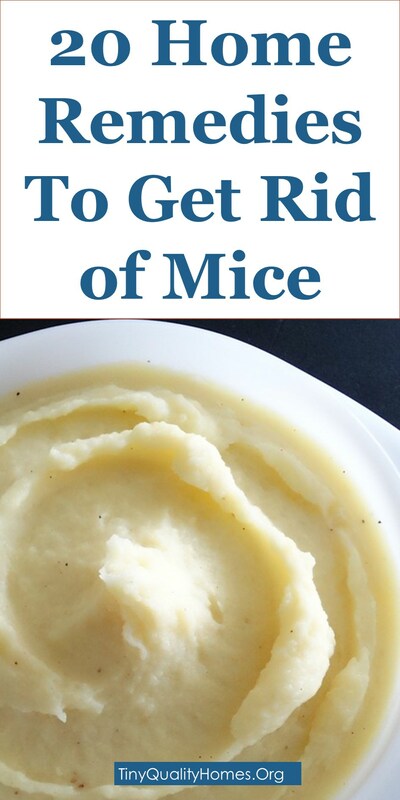 The instant mashed potato can be used as a bait for the mice. Once they feast on it, the flakes will expand in their stomach and cause digestive problems, eventually causing their death. Spread the flakes in corners and near the drains where they are mostly spotted. Keeping all the food items in airtight jars not only keeps them fresh for longer but also prevents the entry of mice and other pests in your house. Pests can also contaminate the food. As such, food should always be transferred to clean tight jars and containers. Tabasco sauce repels mice and can be used as a natural deterrent. Mice hate the smell of the hot sauce. Mix some tabasco sauce with liquid soap/detergent and water. Spray the solution in corners and places from where the mouse enters. The soap detergent will act as an adhesive and help the sauce stick in the place for longer. Avoid using too much detergent as it may make the floor slippery. Dryer sheets contain a distinct smell that is disliked by the mice. Placing them liberally around your house keeps the pesky mice out of your home and yard. A DIY trap can save you money on buying chemical traps available in the market. Just take some dry plaster of Paris and mix it with cocoa powder. The mice will not be able to resist the smell of cocoa and will eat the mixture. The plaster of Paris will kill them by damaging their digestive system. A homemade mice repellent spray is one of the best and cheapest way to get rid of them. Boil a liter of water and add chopped habaneros, jalapenos and pepper flakes. Cool it and fill it in a large spray bottle. Spraying it will irritate the pest and make them run away. Make sure to wear gloves while preparing it as it may cause irritation in your skin. Avoid spraying it on carpets and dark fabrics as it will discolor them. Ultrasonic repellents are also an effective home remedy for repelling rodents including mice. This repellent emits ultrasonic waves that only sound as barely audible beeps to humans. However, the frequency of these waves scares mice.